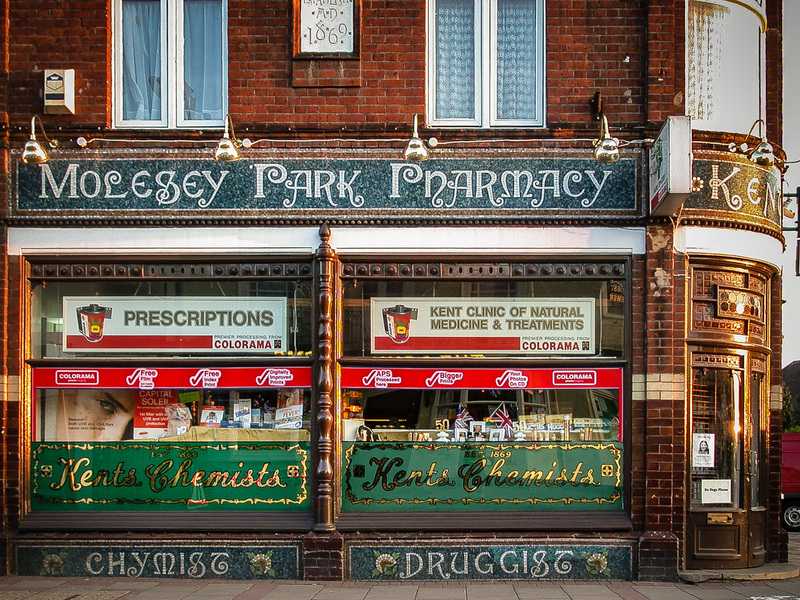 Kents Chemists, 104 Walton Road, East Molesey, Surrey, 2002 • Hard to believe such a beautiful “chymist” exists in unassuming suburban Surrey. Both it and the building it’s in were established in 1869. Wish I’d taken a better photo, there’s a nice clock above not in shot. It’s still there, and there’s a 2009 description of the interior here. It’s quite unusual to see highly-stylised shopfronts in the UK – got another even more astonishingly ornate one lined up for early December. Possibly the best one you have on your blog so far. Really lovely. I’m so glad it’s still there. So beautiful, a real asset locally. Hopefully it’s listed. You could do a lot with this. Mosaic signs like this are expensive to do on such a scale. There’s an even better one coming up soon. 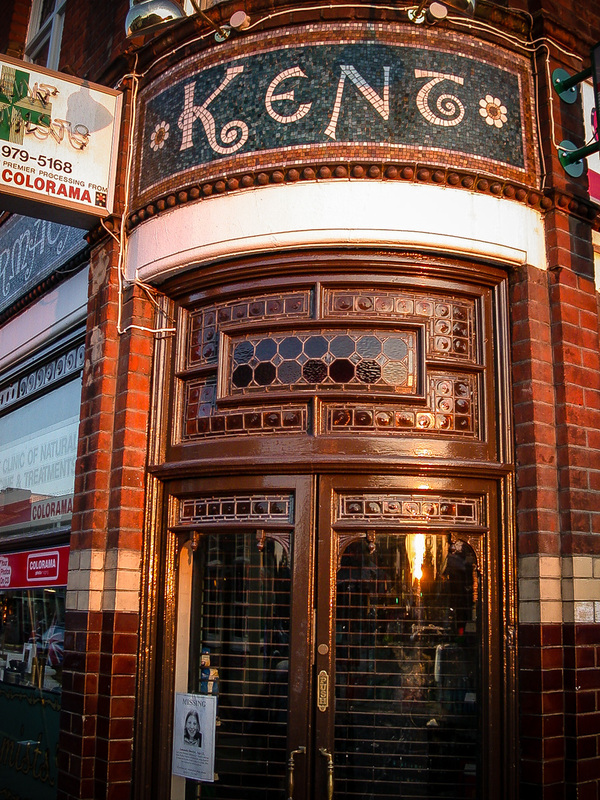 When superb frontages like this are retained I expect they are indeed listed. Owners who made beautiful facades in tile / stone / mosaic etc certainly ensured their brand’s longevity! Always good to get the burglar alarm brigade’s perspective! Lots of these shop front images have interesting bell boxes, but I wasn’t specifically focussing on them at this point. Not the alarm, the wires to the lights! Doh, it’s all just wires to me!